These two people hold a special place in our hearts for many reasons -- one, we’ve known the bride since childhood (and we knew we loved Aliki the second we met him), two, they’re absolute sweethearts, and three, they were the first clients to completely trust us with their wedding. 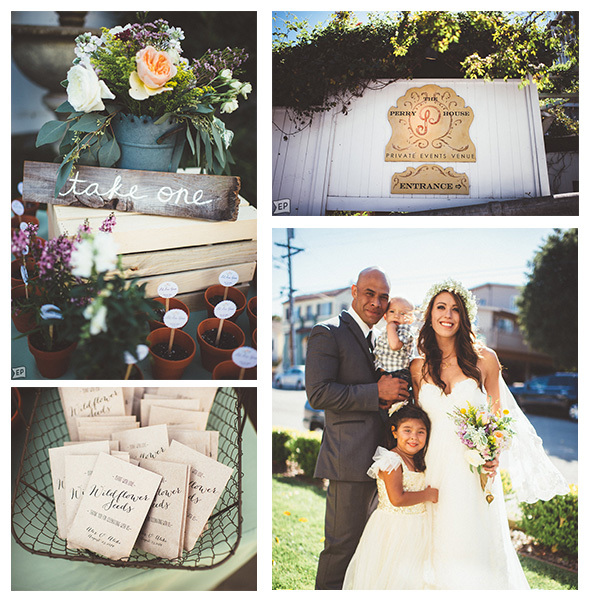 Alex came to us saying, “I’m not picky at all, and I like a vintage garden theme” and the rest is history. The hunt was on to find the perfect items to help bring the theme to life. We spent days pouring through antique shops, farms, and ranches to find fabrics, watering cans, and baskets to help create the secret garden. Ivory, Lace and Sage Green coupled with wildflowers and copper accents were our core design elements. 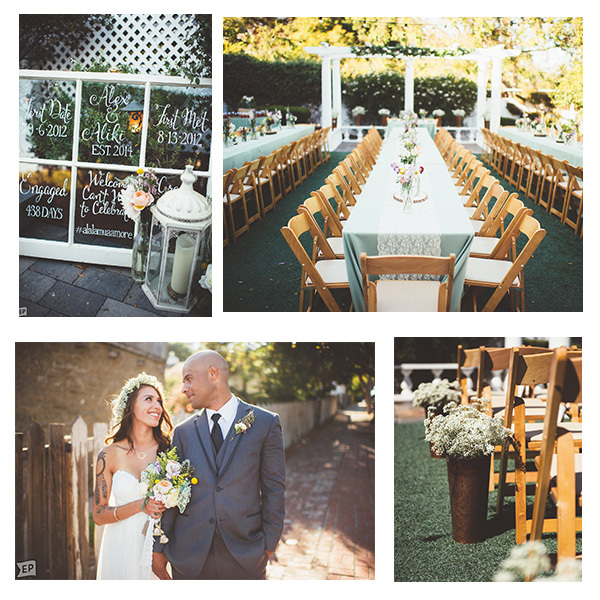 The day itself was perfect - it was a warm beautiful day in Monterey and the Perry House was the perfect setting for Alex and Aliki’s special day. Its old charm and beautiful gardens housed an amazing celebration, that I often still daydream about -- it was perfect. 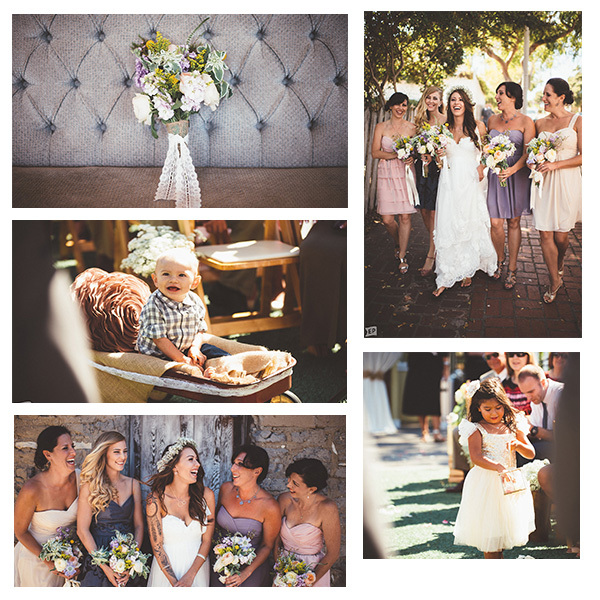 Alex stunned with a breathtaking Watters gown, baby’s breath floral crown, and a beautiful wildflower bouquet. Aliki maintained his cool personality with his Converse while still looking stunning in his suit with Reef (their precious son and ringbearer) not far behind. The ceremony was heartfelt, the reception was genuinely fun, and dessert was the icing on the cake -- the donuts were a fan favorite!